Looks like if this stone giant was carrying a maze ! "There was a legend about a magic tool. It was said that anyone who obtained the magic tool could control not only monsters but also God. The mysterious tool was called "the Key" and only successive Queens on the continent could have it. 200 years ago, the continent was unified. Since then, every time a war broke out, the Queen settled it and led the world to peace. As the time went by, the citizen became awe of her. They welcomed every heir of the queendom and respected her as well. But peace came to the end suddenly, just like last time. The Charent, who were famous for mechanics and craftsmanship, succeeded in developing the Key at last. It was just a copy but could control some monsters. The Charent started invading and conquering the neighboring countries by the power of the Key. A letter from the Queen was immediately sent to them who were still encroaching on other countries. "Stop invading, otherwise you will be punished." It seemed that they obeyed the Queen and peace returned. But no one believed the peace would last for a long time because the Coltens were still building up their army." The deck consists of 30 cards and it affects a battle situation directly. 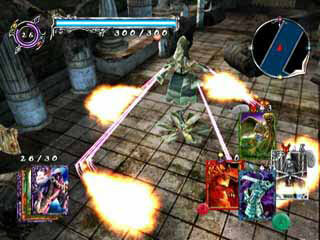 Because of real-time battle, the player needs to select a card promptly from four cards that are dealt in a random order to use at the best timing. The guardians creatures that you summoned make powerful attack against enemies. It makes the battles strain and exciting. RUNE II has no line between Exploration Mode and Battle Mode. The monsters are everywhere in a level. They might attack you while you are exploring or you might have to hide from them to go ahead faster sometimes. 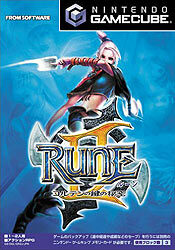 RUNE II has more gameplay than RUNE I. You can go back and explore any levels that you already cleared. The levels are changed from your first exploring, so new stories or items may be found. A new type of the card called Transform-type that transforms you into something is available in RUNE II. It will help you when you want to reach some places that human body cannot go. Probably there is a mission that you have to use Transform-type card. RUNE II contains twice as many cards as RUNE I. Not only new cards but also a new type of card attribute called "Machine" is introduced into RUNE II to make more combinations of the cards. 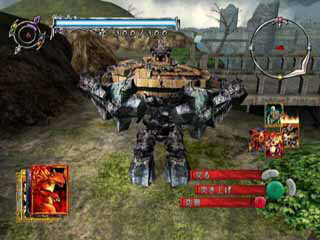 Every type of guardian creatures has an attribute, such as Fire, Water, Wood, Earth, Neutral and Machine. There is a power relationship between each attribute type. The variation of Combo that activates additional action is also increased. It will be your advantage. 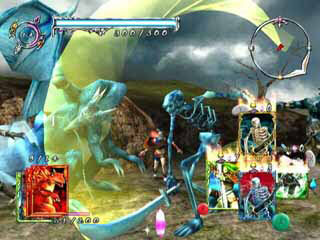 RUNE II also has Two Player Mode that lets you go head-to-head battle with a friend. You bet your cards and the winner gets the cards the other player bet. It brings you different but exciting battle from Story Mode."